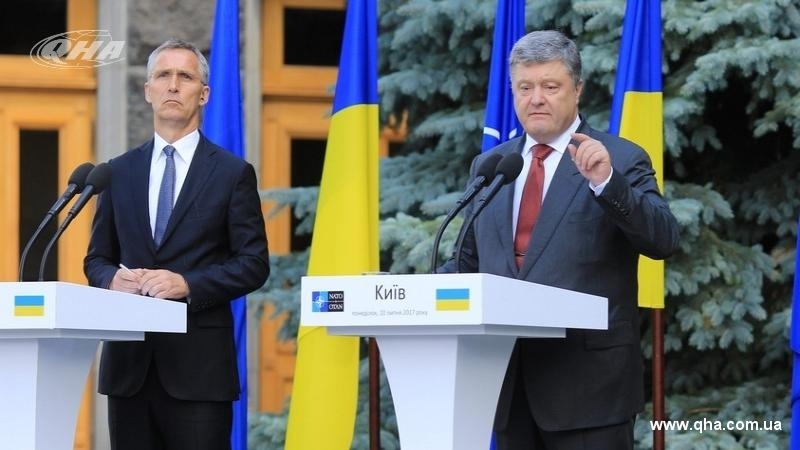 NATO has already allocated 2.25 billion Euros for the rehabilitation of Ukrainian military. President of Ukraine Petro Poroshenko and NATO Secretary General Jens Stoltenberg discussed the financing of trust funds and expansion of practical cooperation at the meeting in Kyiv, QHA correspondent reported, citing the press conference following the meeting of the Ukraine-NATO Commission in Kyiv. “I suggested to establish a new trust fund, which would contribute to creation of a national network of institutions for psychological rehabilitation of injured combatants and their families”, the President Petro Poroshenko said. According to him, Ukraine can effectively strengthen its security system only through cooperation with NATO. Stoltenberg noted that the Russian aggression against Ukraine had made NATO increase its forces threefold first time since the Cold War. “NATO actively supports the Minsk process and the Normandy format, since this is the best way for resolving the conflict in Ukraine”. NATO Secretary General noted that he considers economic sanctions very important. Reportedly, in June 2017 NATO had opened a trust fund with a budget of 2.25 billion Euros for the rehabilitation of Ukrainian soldiers, who took part in the anti-terrorist operation in Donbas.